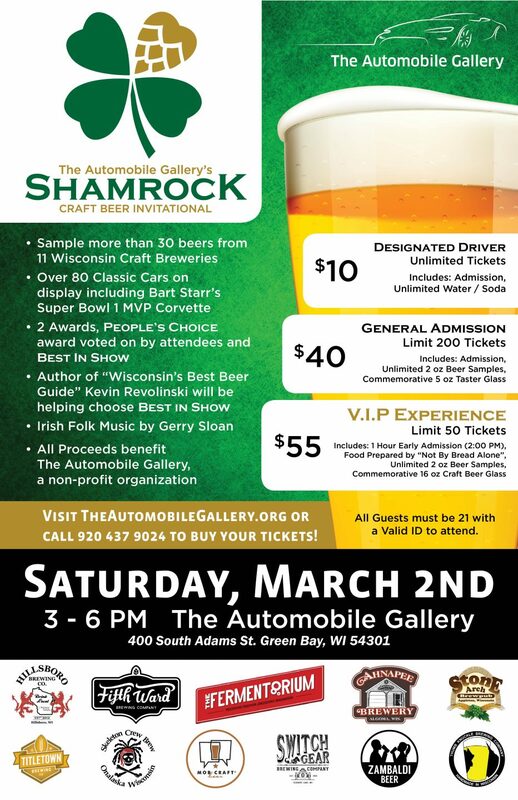 The Automobile Gallery’s Shamrock Craft Beer Invitational will showcase a unique sampling of some of the best craft beers and breweries from all around the state just in time for St. Patrick’s Day! Sample amazing beers and enjoy The Gallery’s collection of over 80 classic cars. Includes unlimited 2 oz. beer samples, and commemorative 5 oz. taster glass.